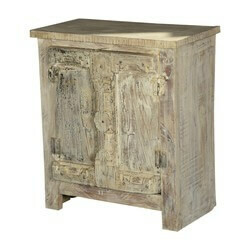 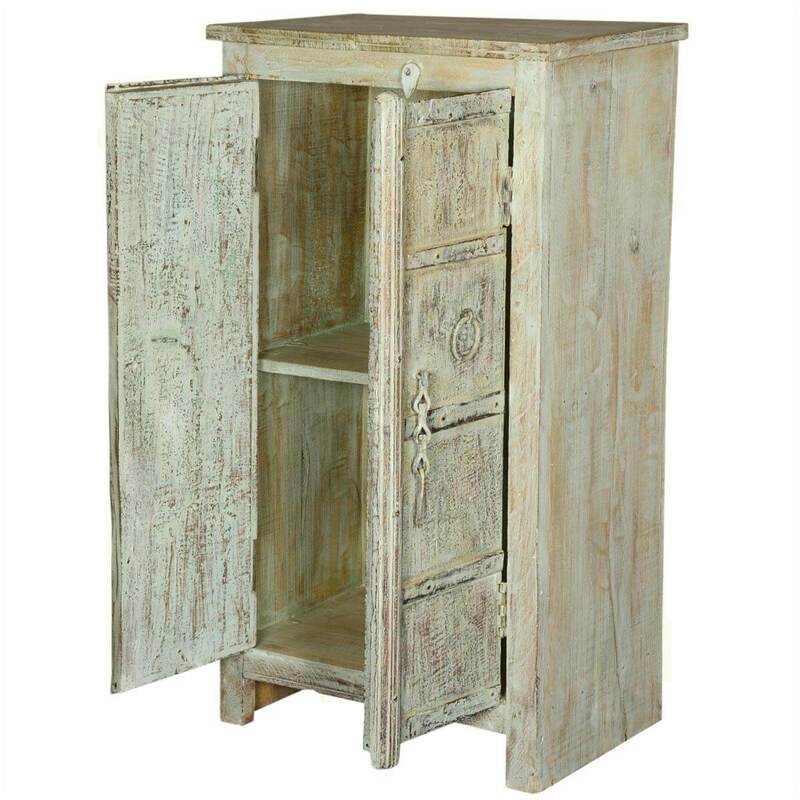 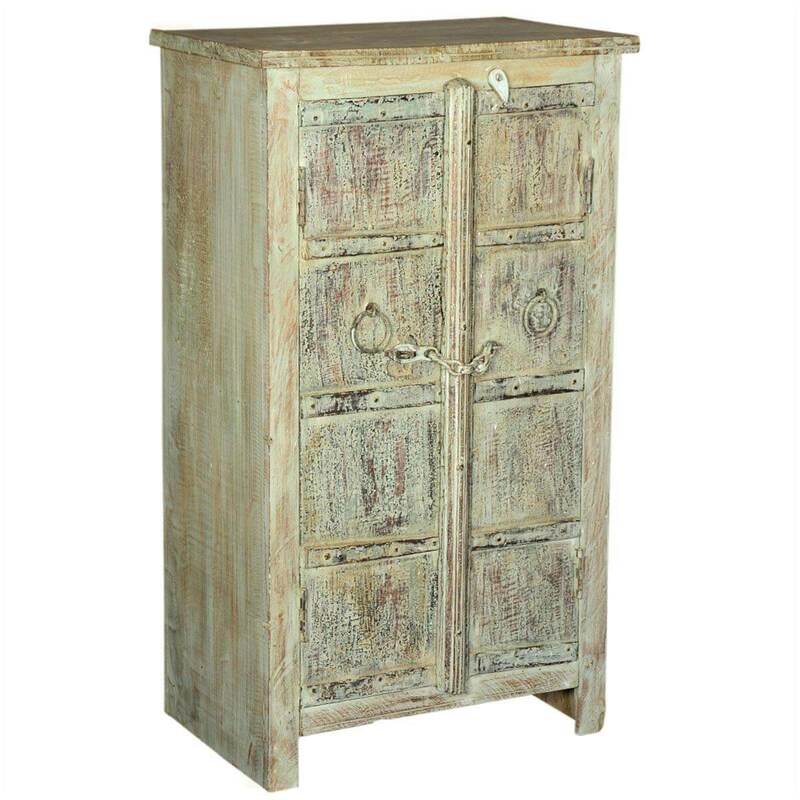 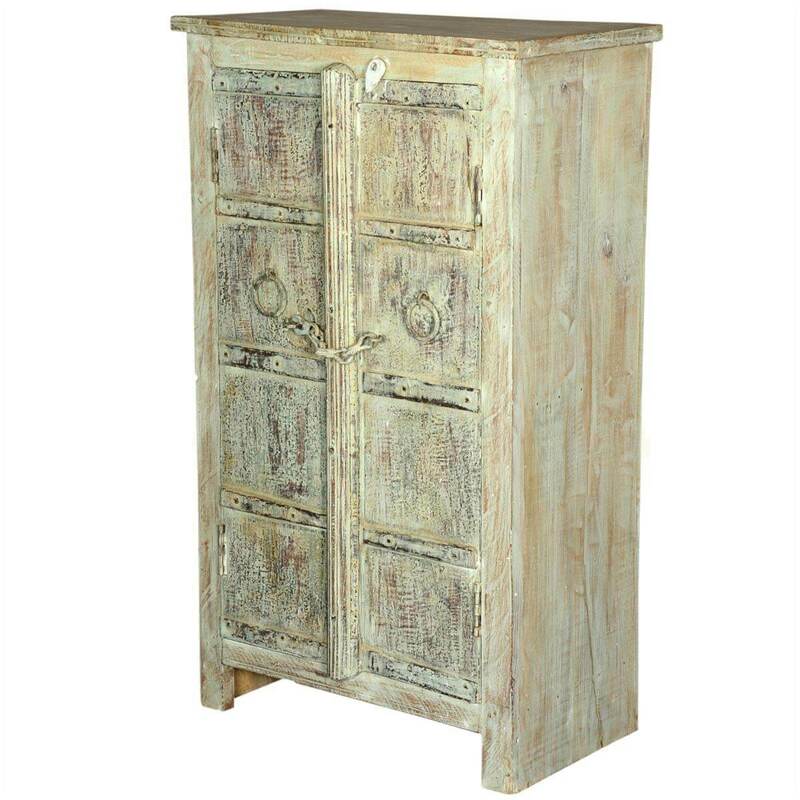 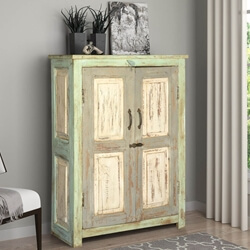 Bring some rustic flair to your home with the stylish Dobson Rustic Reclaimed Wood Handcrafted 2 Door Accent Storage Cabinet. 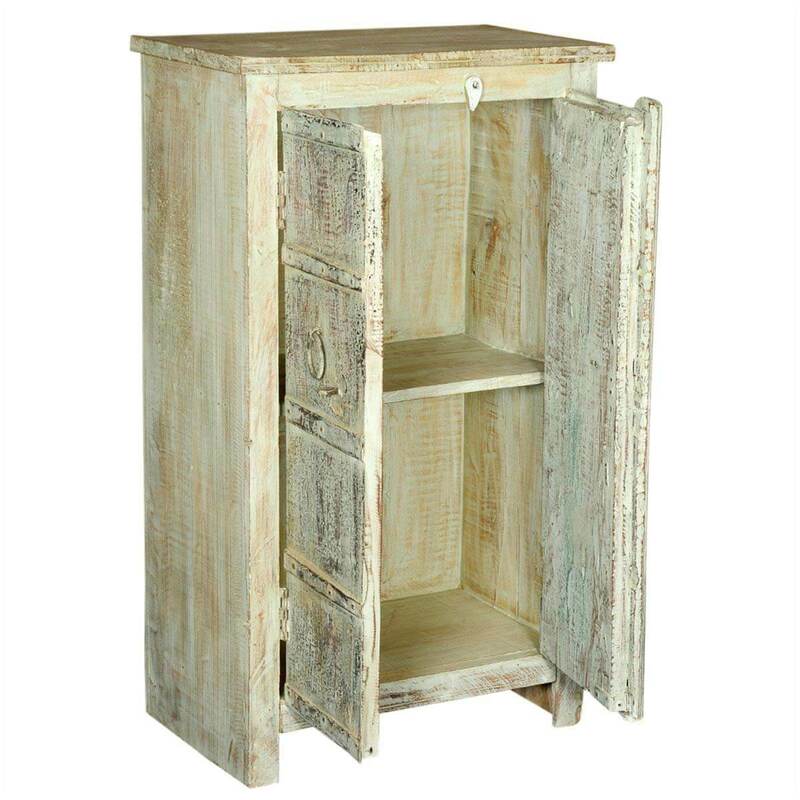 Explicitly handcrafted with old reclaimed wood, this single-shelf storage cabinet features naturally aged Pale yellow finish that will add a vintage feel to your room. 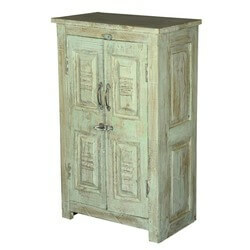 • It features wrought iron accents on the doors. 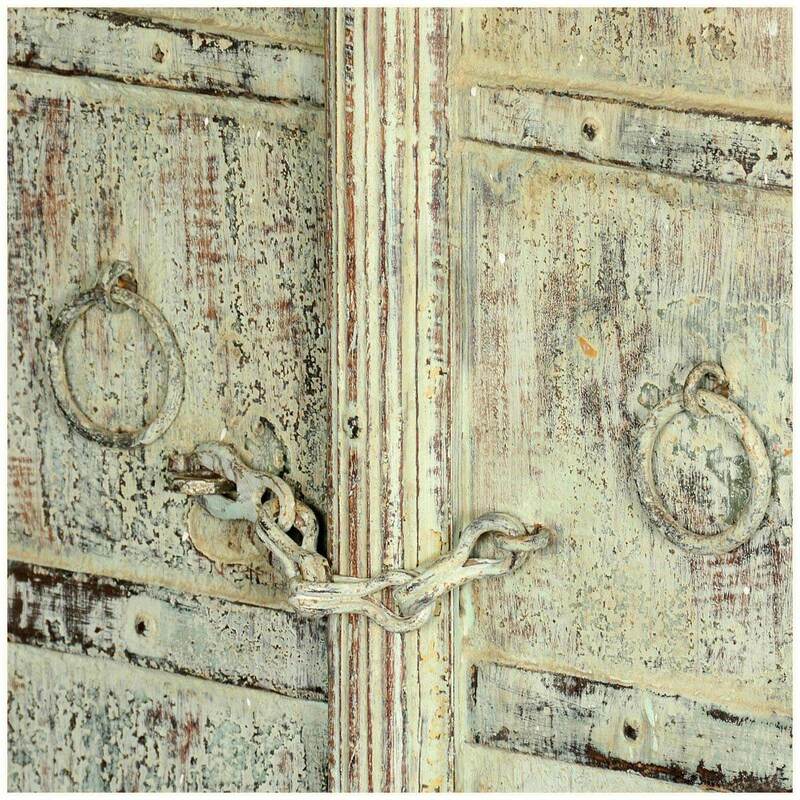 • An exquisite example of vintage iron art is installed on doors as locking mechanism. 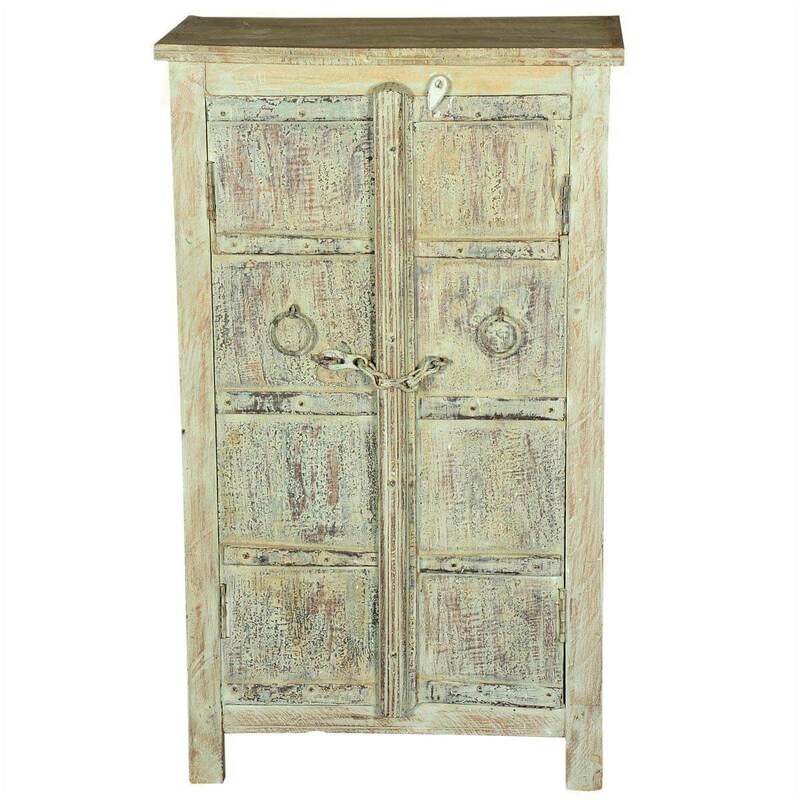 • Doors feature 2 hand forged iron pulls for the ease of opening and closing the doors. 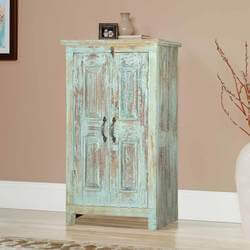 • It features one wooden latch to keep the doors closed as well.